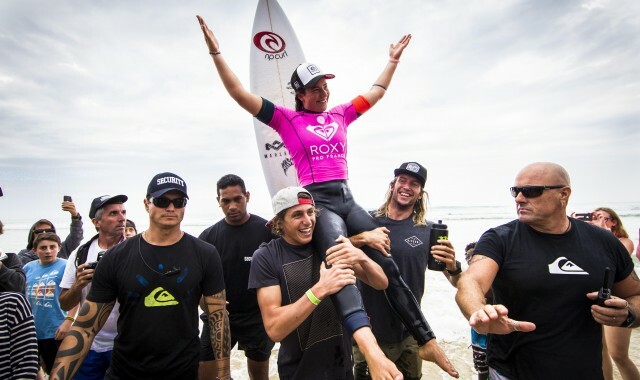 Tyler Wright won the 2014 Roxy Pro France. She did so by gouging and combo-ing the right sandbar to a near-perfect 19.20 heat total. This win moves her up to second place in the tour rankings and puts her in contention for the world title with only two events left. Check out the footage below. Tyler was riding a Sub Driver. 5’8.5″ x 18.35″ x 2.25″ CL: 28.18. Fins: FCS II, MF-LRG. Tail: Round Tail.